Free yourself in Tucson! The Visit Tucson Official Travel Guide helps travelers get the most from a trip to our home in the desert. Dine in one of UNESCO’s Cities of Gastronomy after exploring our scientific nature. Immersing yourself in the arts and find your peace in the Sonoran Desert. 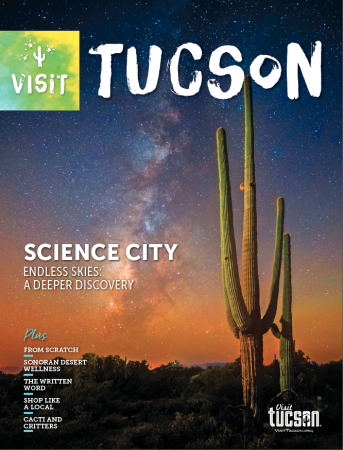 Plus, a complete section on our downtown shows off Tucson’s lively and vibrant urban core.